Given that the book says on the cover that this is “a Tiffany Aching adventure”, it was a foregone conclusion that we’d have Tiffany and the Feegles, as well as the associated folks in The Chalk — the region of the Discworld where Tiffany lives. But what I didn’t expect was that we’d also have almost everyone else as well. The Patrician, the Archchancellor and Ponder Stibbons, Nanny Ogg, Magrat, Agnes who calls herself Perditax, the History Monks, and a fairly large appearance by some villains we haven’t seen since long before Tiffany Aching (the character) existed. Oh, and Horace the Cheese, Dr. Bustle, Petulia, Anagramma, Mrs. Earwig*, Death, and possibly the best female character in the entire Discworld, Granny Weatherwax. Remember how I talked about spoilers above? Well, in chapter two or so, Granny dies. I think most fans of the Discworld knew it was coming. Granny’s been around since almost the very beginning of the series, and it’s said in all her books that she’s old. She’s been old for a very long time, and now, after a normal day in her life, she learns that Death is coming for her. She prepares for her death, including making an update to her “I aten’t dead” card, and meets it with dignity. I also think most fans of the Discworld knew that Tiffany would be chosen to succeed Granny. It’s been hinted at pretty much since the first meeting between the two characters. Nanny Ogg and Tiffany arrive shortly after Granny’s passing to do all the things witches do when another witch dies (which we saw in a previous Discworld novel), and it’s staggering just how much pain there is not only in Tiffany, but also in Nanny Ogg. I mean, here’s a woman who’s been happy and jolly all her life, even in the face of mortal peril, but Granny was her best friend, and while she does put on a brave face it’s obvious that Nanny is hurting, and badly. There’s a scene later in the book where Nanny does something careless and doesn’t notice, and the first thing I thought of was “Granny was Shepherd Book and Nanny’s going to be Wash”. Scared the crap out of me. In any case, Tiffany takes over Granny’s steading, but she also has her own, back on the Chalk, and it’s running her ragged. Into her world steps Geoffrey Swivel, the third son of an aristocrat, who has decided he wants to learn to be a witch. Somewhere he heard that there was once a female wizard, and if that’s the case, why can’t there be a male witch? Tiffany takes him** on, teaches him what being a witch is like, and in this begins putting her own stamp on Discworld witchcraft. After all, Granny must have known that Tiffany doesn’t do things any way but her own, and she wouldn’t have tapped Tiffany as her successor if she didn’t want it that way. Meanwhile, Granny’s death has sent ripples through not only the entire Discworld but also to the worlds connected to it. This includes Fairyland, home of the elves. They hate Granny for what she did to them back in Lords and Ladies, but the Queen has a special nasty place in her heart for what Tiffany did to her when she tried to steal away Tiffany’s brother Wentworth (who is also in this book). A power struggle between the elves leads to a new elven king (who we’ve met before) and the deposing of the old queen, who is sent to the Discworld to learn her lesson***. Without Granny in the way, the elves are going to come. They’re going to terrify and terrorize the entire Disc. And it’s up to Tiffany and the rest of the witches to stop them. As with the rest of the Discworld series, there’s humor (I laughed out loud several times), satire (I didn’t love the whole thing about sheds, but it was a nice satirical thread), lampshading (the fact that women run marriages, not men), callbacks to previous books (especially the goblins in Snuff and Raising Steam, but also some nice moments from Thud, and of course the previous Aching stories), more footnotes than any recent Discworld novel has seen, and, at the end, a battle sequence that is both exactly what you expect and nothing like what you thought would happen. Though this book opens strongly, it seemed to wrap up quickly toward the end. I’m sure that Sir Terry knew he didn’t have a lot of time — you could tell even in Unseen Academicals that he seemed to be cramming a lot of things into a single book — and he wanted to wrap up the story of the Discworld in a proper fashion. 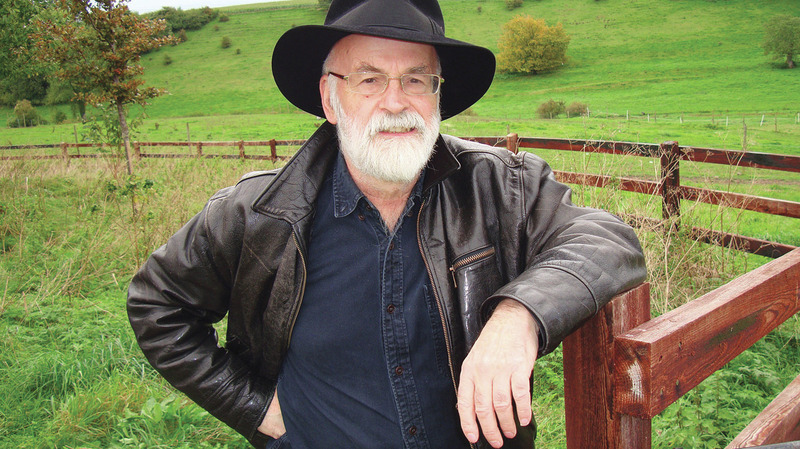 His later novels were often about changing the way Discworlders saw other people, other races, and other technologies: the goblins, the railway system, women, and so on. He had a talent for looking at something that was both blatantly obvious and completely ignored and turning a lens upon it in a way that was both humorous and heartfelt. 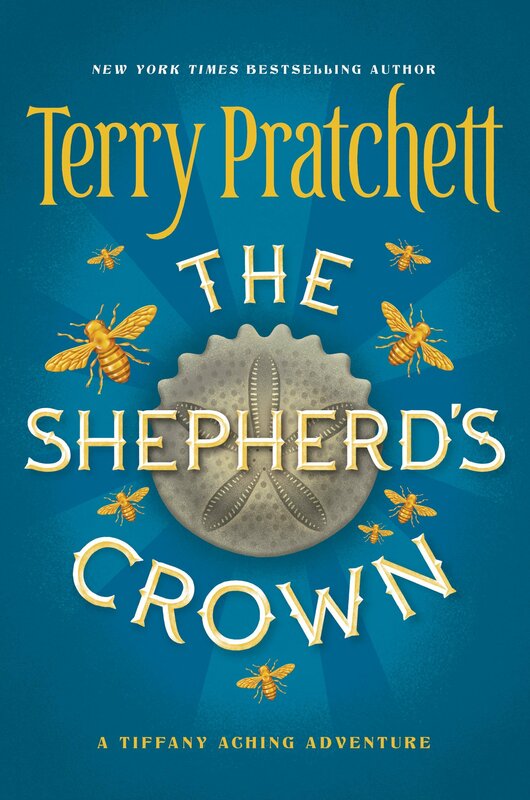 But this book was truly a passing of the torch, and a story about making your own way, and while I feel it was a fitting end to the Discworld saga, I think it probably could have been a little longer, to make the last six or seven chapters a little fuller. Not a lot more length; maybe just another five-to-ten thousand words. Sir Terry’s daughter Rhianna has said she will not continue the Discworld novel series. Unfortunately, with Sir Terry’s passing, we will never know what becomes of Captain Carrot. We will never know who succeeds the Patrician****. We’ll never read any more of the wacky adventures of the Archchancellor, Ponder Stibbons, and the other wizards (including Rincewind), or spend any more time with the Librarian. We won’t see any more adventures with Susan Sto Helit, Death (and the Death of Rats), Binky, and Albert. We won’t learn more about Magrat’s children, or Young Sam, or what became of Tiffany and her new beau. And we won’t find out what happened to Omnianism — there were some tantalizing bits in this book about a fundamental change to its precepts, which I think were leading to a book that took some digs against Christianity. But we do know that Tiffany will continue to guard the borders of the world, and we do know that the Feegles will always have her back, and we do know that, for the most part, although the greatest witch — and possibly the greatest woman — in the history of the Discworld has passed from this world, she’s left it in good hands. Because while the Patrician rules the intricate clock of Ankh-Morpork, and Verence and Magrat watch over Lancre, and Roland and his wife lead The Chalk, and Ridcully wrangles the wizards, and Death watches over them all, it’s Tiffany Aching who will mind the borders of the Discworld and keep it safe for all who read it, from this day until the end of time. 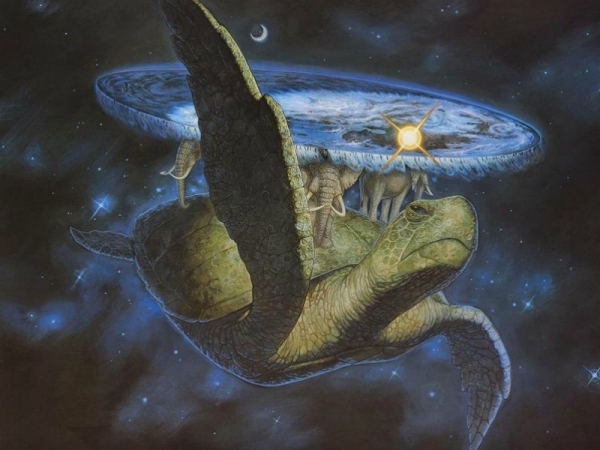 Thank you, Sir Terry, for sharing the Discworld with us. We’ll miss you. Note to Parents: While this book is technically YA, Tiffany is an adult in it. It contains a few scenes of violence, graphic descriptions of childbirth, and references to physical abuse. 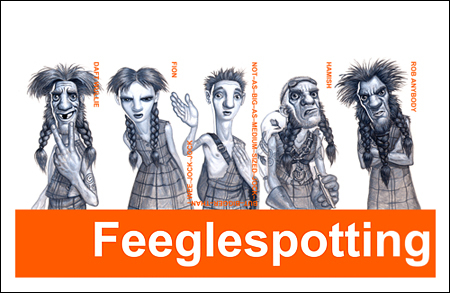 There’s also drinking, fighting, and swearing, although that’s to be expected where the Feegles are involved. I think it’s safe for teens, tweens, and mature elementary-schoolers, although for the latter you might want to read it with them, instead of just handing it to them and saying “all yours, kiddo!” Of course, you should use your own best judgment when it comes to your children. ** And his preternaturally-intelligent goat Mephistopheles, the nature of whom is never fully explained. 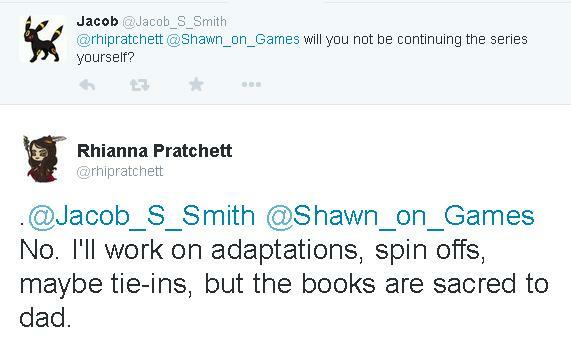 I wonder if Pratchett would have gotten around to that in the sixth Tiffany book, had there been one. *** I don’t think her adversary thought she would learn it in quite the way she ended up doing, though. **** In my heart it’s Vimes, although several of my friends believe Pratchett was building up to it being Moist von Lipwig.